This quick and easy handwriting tip is a nice one for working on letter formation and letter construction. 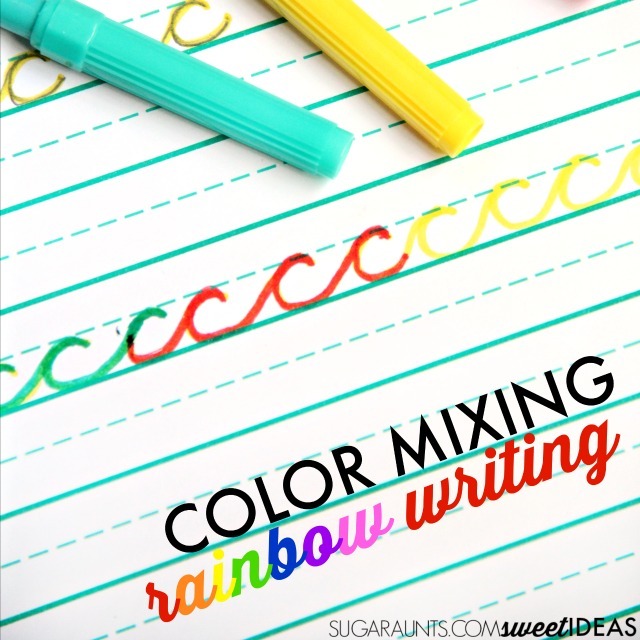 Color Mixing Rainbow Writing is a creative way to help kids learn the right ("write"??) way to actually form letters. This post is part of my Easy Handwriting Tips series happening this month. 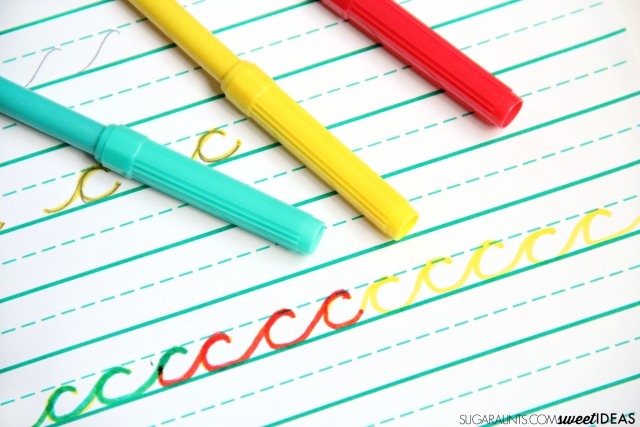 Be sure to join the new Sweet Ideas for Handwriting Help Facebook group for lots of great handwriting tips and tricks. Helping kids write letters with correct letter formation is essential for legibility, especially as kids get older and are required to produce more written work at a faster rate. Consider the high school student that needs to rapidly jot down notes. If letters are formed from bottom to top or in sections, their speed and legibility will drastically drop. Sometimes it is speed OR legibility that suffers when a child needs to produce more amounts of written work in a specific period of time (i.e. copying down notes as a teacher rattles off details. The younger student will be affected by inaccuracies in letter formation as well. 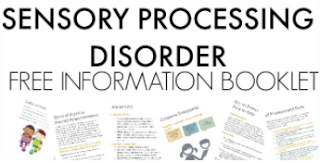 Around the third grade, students are responsible for jotting down their homework assignments into a planner. 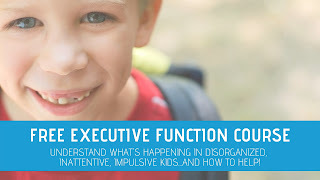 When the child is bombarded by classroom sensory input (pencil sharpeners, students, desk chairs moving, hallway distractions, coughing classmates...) difficulties with letter formation can result in illegible homework lists and trouble with re-reading the assignment list when the student attempts to start on homework. This letter formation activity is really simple and a LOT of fun. Kids can work on typical motor pattern of letters by exploring color mixing. You'll need just three markers for this activity. 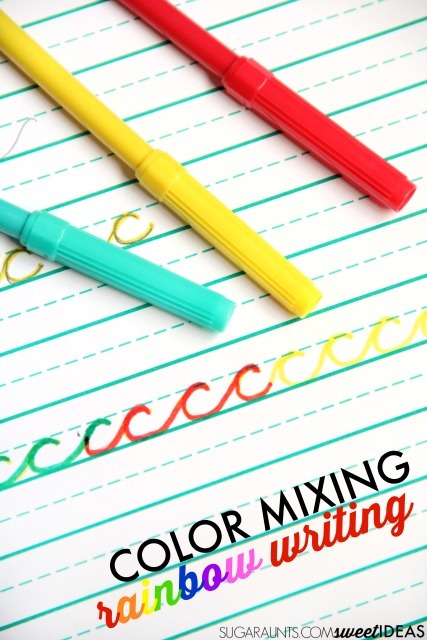 Red, Yellow and Blue markers are all you need to work on letter formation with color mixing. We used dollar store markers, but also tried these washable markers and the activity worked too. For this activity, you'll need to first write the letters that you are working on in one color. Then, using another color, trace over the letters to create a new color. Mixing the yellow and red made orange letters and mixing the yellow and blue markers made green letters. Work on letter formation with this activity by providing kids with the amount of assistance they need to form letters correctly. At first, they may need verbal, physical, and visual cues to form letters correctly. Encourage students to form the letters from top to bottom and in the correct way. When they re-trace the letters with a second color, be sure they are forming and tracing the letters correctly. When kids trace over the colors, they will be forming letters slowly in order to trace over the letters and ensuring the colors mix. By tracing over the lines to form letters, they are building the typical motor patterns needed to write the letters correctly and efficiently. We worked on cursive letters with this activity, but it would work very well with printed letters, particularly letters that are typically reversed or confused like "b" and "d'. 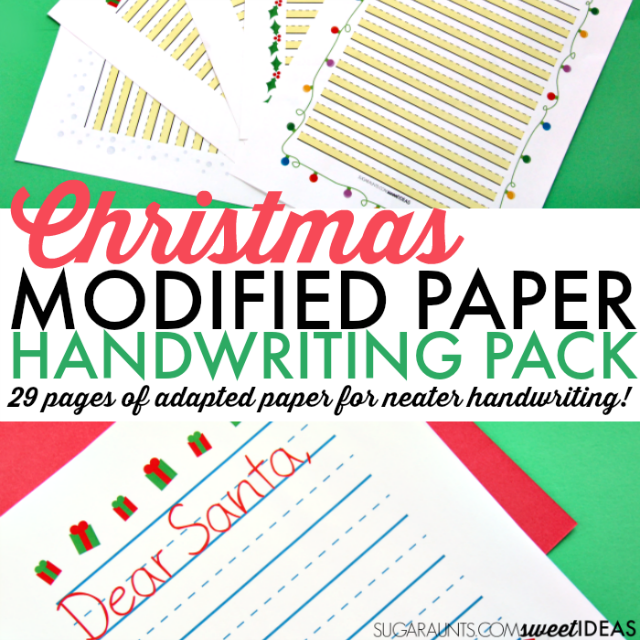 Looking for more creative ways to work on handwriting? 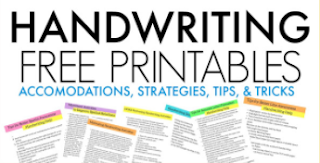 First, be sure to join the Sweet Ideas for Handwriting Tips Facebook Group. There will be a lot of resources and tips shared there. Next, head over HERE to see all of the handwriting posts in this month's series on easy quick fixes for handwriting. 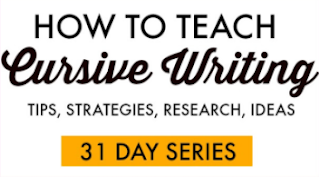 Save it because there will be a lot of great tricks and tips for handwriting coming!